Our relationship with the Vancouver Aquarium http://www.vanaqua.org began with the purchase of a stuffed baby Emperor penguin from the shop at the Vancouver International Airport. In addition to “Baby Sister”, so named for Pingu’s baby sister, I bought Raffi’s “Baby Beluga” book and infant Lucan and I enjoyed the sing along story of “the little white whale on the go”. Lucan was particularly taken with a certain horned whale because it reminded him of unicorns. In fact, as we later discovered, Narwhals were hunted almost to extinction for their horns and are threatened today because of increasing noise and pollution in the water. As members of the Vancouver Aquarium we have been fascinated and humbled in observing all the majestic creatures that reside there, many of them rescued wildlife that sustained permanent injuries and who can no longer live in the wild. 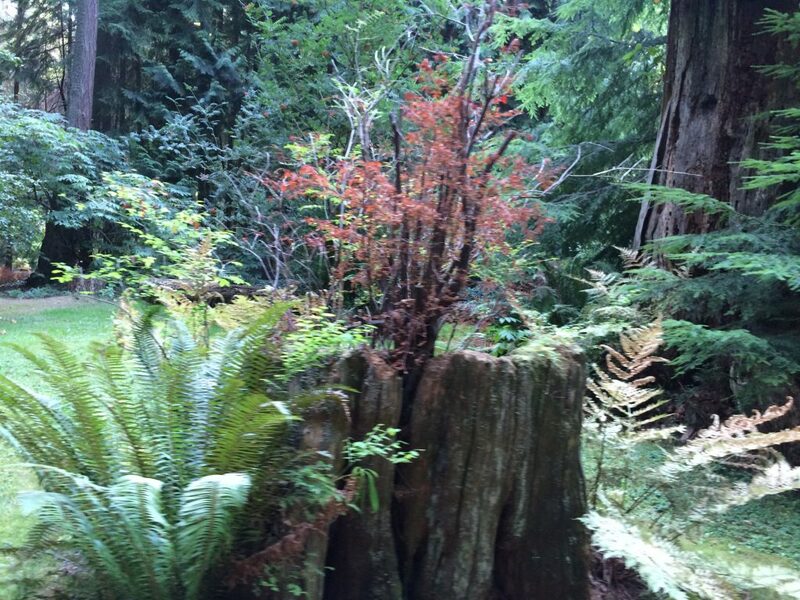 On every visit I tell Lucan to lead the way and he and I enter a world of incredible beauty and wonder. Watching the jelly fish bobbing around and then finding the tank with the sea turtles, sharks and rays, makes you think you’re in the movie “Finding Nemo”. The hot and humid rainforest of the Amazon exhibit lets you come face to face with exotic birds, new species of rays and a gigantic and mysterious anaconda. The level of detail about the various frogs, and risks to their existence (and every other creatures’) is clearly laid out and frankly, unnerving. Humans are supposed to be caretakers of the earth and yet hundreds of species are now extinct and hundreds more are on the brink. 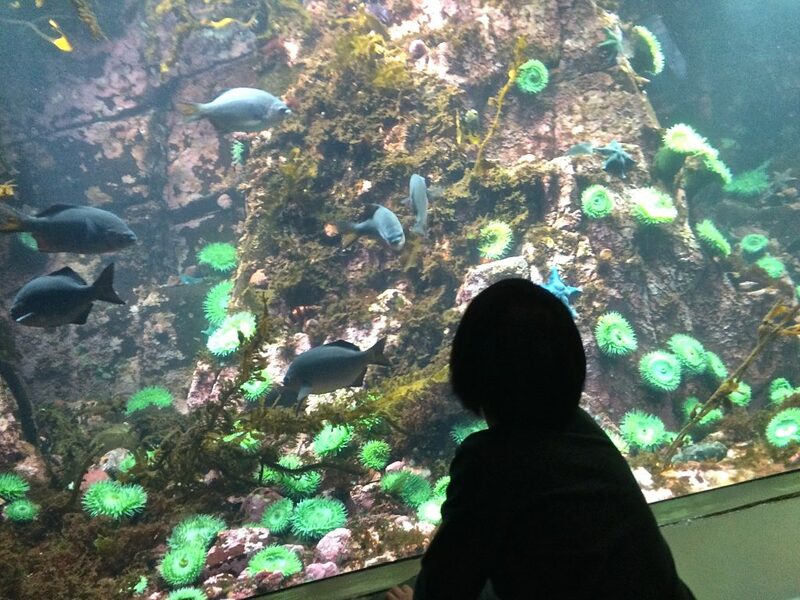 Marine research and rescue facilities like the Vancouver Aquarium are important places of learning and connection, to create empathy for all animals. It is here, in a place that clearly demonstrates the gentleness, the soulfulness and the gloriousness of marine life, that we humans can learn from the mistakes of the past, and determine to do better for the surviving creatures, and for the planet herself. Lucan and I don’t watch the marine shows from the surface, preferring to view these majestic animals underwater. There is Helen, the elegant and incredibly fast dolphin, who years ago, lost part of her fins from fishing nets and therefore can’t be released back to the wild, as she won’t survive. And the precocious false killer whale Chester, who was found in 2014 off the BC Coast at only a month old. False Killer Whales are not native to BC, they like a much warmer climate, and marine biologists don’t know how baby Chester ended up lost on our shore, or where his pod went. Being orphaned so young Chester has no survival skills for the wild so came to share Helen’s home and she teaches him how to be a dolphin. We love to watch Chester swim by us with his big grin and curious and mischievous eyes. Of course there are belugas at the aquarium, Aurora and Quinao, and we enjoy watching them cavort around. They’ve recently been joined by two habour porpoises named Jack and Daisy. They all love to play to the crowd above and below the water’s surface. Inspired by his visits to the Vancouver Aquarium Lucan selected a book about whales on his recent trip to the school library. It’s a fascinating read revealing that whales have existed for 55 million years and that the blue whale is much larger than any dinosaur. You can tell the type of whale by the way the water squirts out of it’s spout. Also, sperm whales can hold their breath and stay under water for up to 2 hours and belugas are known as the canaries of the sea because they make chirping sounds like the bird. 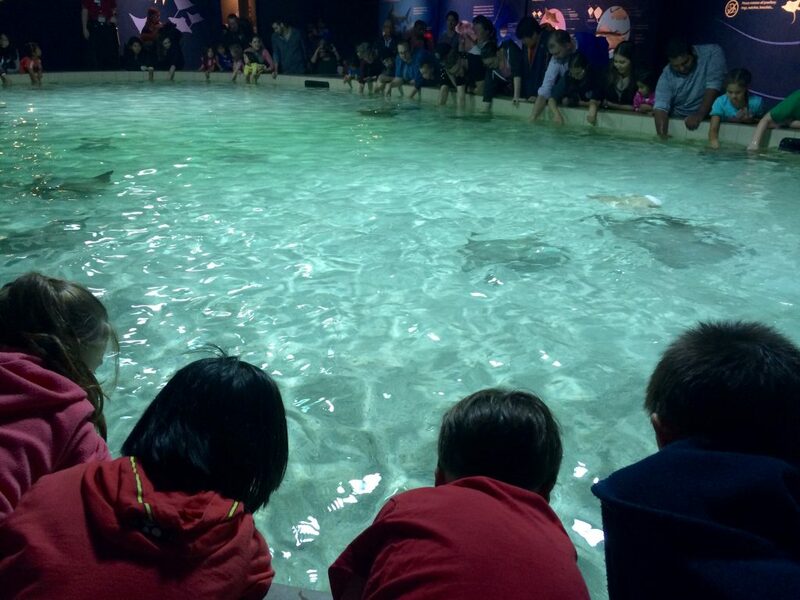 A few months ago the Vancouver Aquarium added an exciting new exhibit – a rays touch pool. It is a thrill to put your hand into the warm sea water and wait for a curious ray to swim over and check you out. Rays are such elegant and intriguing creatures as they glide through the water, they seem as curious about us as we are about them. with scales, x ray machines and food dispensers. 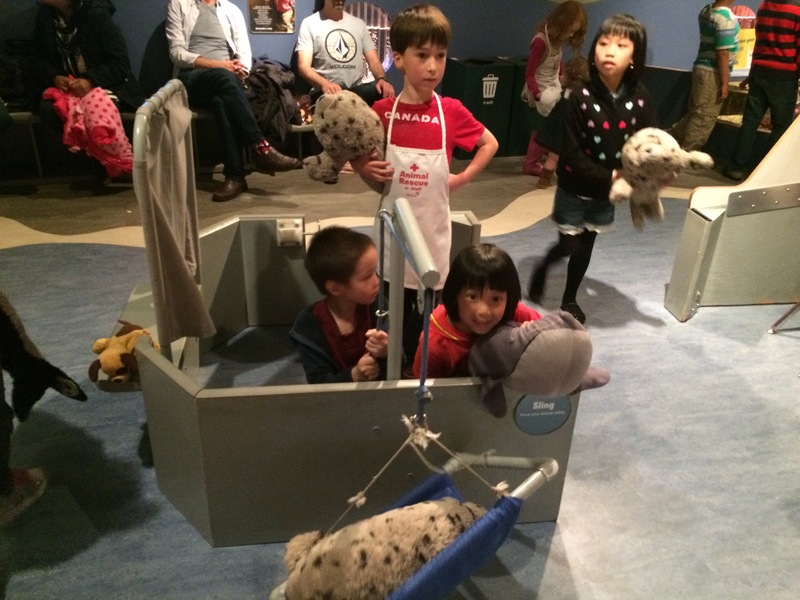 Aside from membership, there are various ways to support the research and rescue efforts of the Vancouver Aquarium including symbolic adoptions, which make great christmas gifts, shore line clean up and hosting your child’s birthday party there – what an incredible educational experience for your guests. So, this summer, take the plunge into the cool (literally and figuratively) Vancouver Aquarium, and come face to face with some of the most amazing creatures you will ever see. This aquatic adventure is both stimulating and inspiring and you and your kids will remember the experience for a long, long time. When you are putting your child into the seat make sure you remove bulky clothing and that the harness strap is fitting snuggly on your child’s body – there should be very little slack in the harness strap. All child seats should be installed in the back seat, preferably in the middle, as this is the safest place; the middle of the back seat is farthest from the point of impact, regardless of the type of collision. If your child is less than one year old the child seat must be rear facing. There is a very, very good reason for the rear facing rule. When babies are born their skeletal structure (bones) are very soft. Think about your own rib cage, pretty strong and solid, a good support for all your internal organs like heart, stomach and lungs. If you are bucked into your vehicle seat and involved in a collision, your rib cage will be able to protect and contain your internal organs. Now, think about the baby. With soft bones, a baby’s ribs are not able to protect and contain internal organs if thrown around. So infants need to be rear facing in a vehicle so that if there is a collision their spinal column, supported by the back of the seat, not their rib cage, would absorb most of the impact. In fact, best practice is to keep your child rear facing as long as possible; rear facing is the safest way for children to be seated in a vehicle. The proper fit of a child seat is crucial for safety. I mean, you would not put your child into shoes too big, so why would you place your child into too large of a child seat? And yet, some parents do. More than once I’ve heard comments like, “I can’t wait for my kid to move into a booster, so I’m moving her up even though she’s not yet 40 pounds, she’s only a couple pounds under”. Or “My kid hates the booster seat, so he doesn’t use it”. Comments like this make my blood run cold…. Sizing of children in infant and child restraints are not arbitrary decisions. This was not a conversation that happened over coffee. The sizing of children in child restraints is based upon evidence from fatal and catastrophic injury car crashes, and lots of tests with crash test dummies. The level of safety tests that child seats undergo, especially in Canada, is intense and for good reason; they carry precious cargo. So please, don’t rush your kids through the car seat phases. Do not move your child out of the convertible seat until he or she has reached the maximum weight range, some seats have a higher than 40 pounds maximum weight. My son Lucan is quite tall but thin, he is still under 40 pounds, sometimes 38.5, sometimes 39. 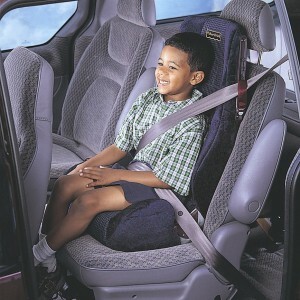 For the past year I’ve been waiting to buy a booster seat but, my kid’s not there yet, so, we’ll keep waiting. And why, you ask, is there a need for booster seats? Well, vehicle seats and the seat belt restraint system is designed for a person about 5’9” and 160 pounds. There is no way, if children are using only a vehicle seatbelt, that they will not be killed or seriously injured in a car crash; the seat belt restraint system will not work properly as a child’s body is too small. Without a booster seat the belt path on a child will run across his or her face and along their abdomen, a very soft and vulnerable place; in a collision the child will suffer severe injuries. With a booster seat, the belt path will correctly be positioned diagonally across the child’s chest and torso and across the pelvic area – which has hard bones to protect the child’s insides. Besides, children who are boosted up can see out of the window so will enjoy the car trip much more. Please, ensure you’ve put your child in a properly fitted seat. Children outgrow everything—even car seats! Ensure you’re using the right seat for your child’s age and size. It’s also the law: in B.C., all children under 16 years old must be properly restrained in an appropriate child car seat or seat belt. When you’re purchasing or using a seat, make sure it meets Canada Motor Vehicle Safety Standards, it hasn’t expired and it’s Canadian. If you’re buying a seat outside of Canada, including online from non-Canadian vendors, it doesn’t comply with Canada’s safety regulations. Whatever your mode of travel: on foot, bike, public transit or in a personal automobile, remember, safety first! “The wheels on the bus go ‘round and ‘round…”. One of Lucan’s first words was bus, followed quickly by boat and bird, I guess he had thing for B words. 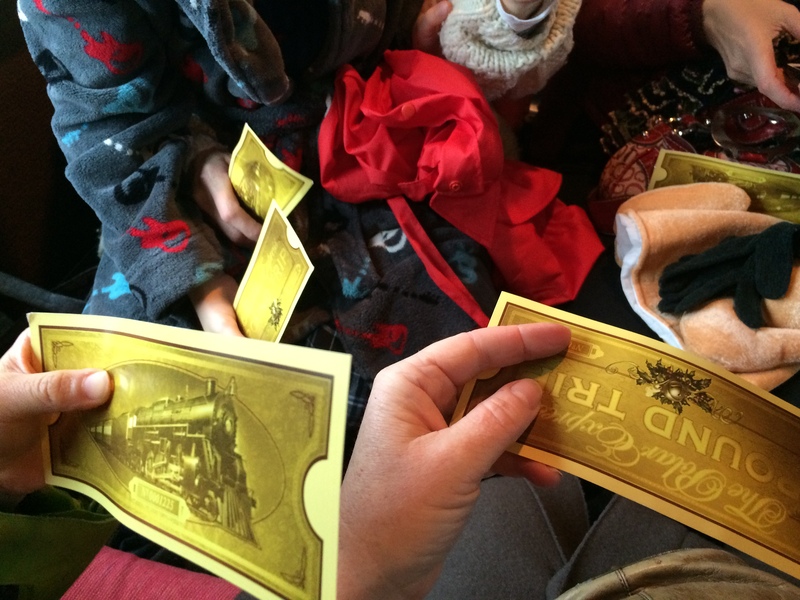 Lucan’s also had a lifelong fascination with different modes of transportation, and he’s lucky enough to have experienced a lot of them, frequently: buses, trains, Seabus, BC Ferries, airplanes, cars, once, even a 2 horse drawn sleigh across fields of snow. 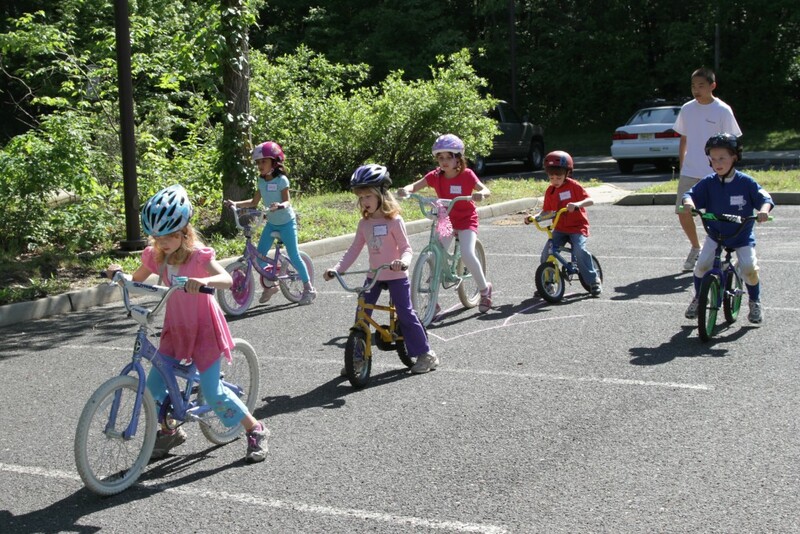 I expect most children, small and large, are interested in experiencing various modes of transportation. 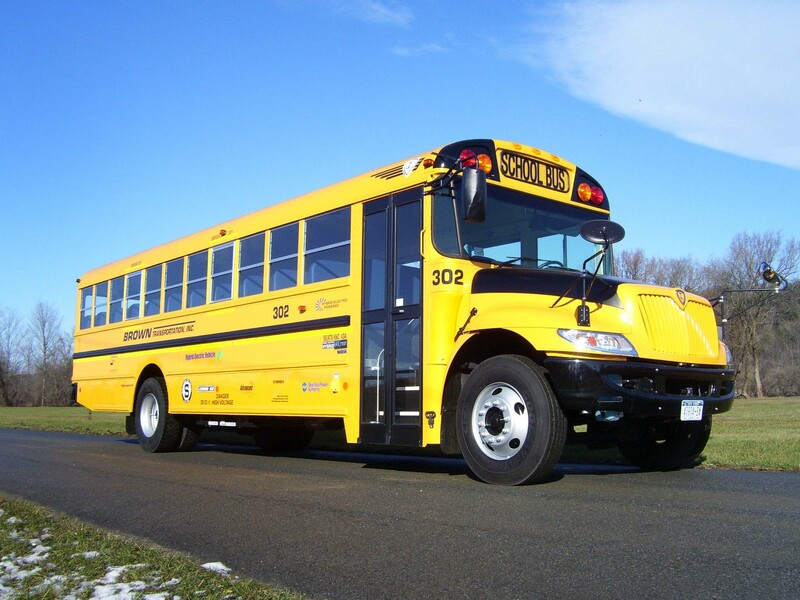 We’re lucky enough to live a community that offers a great deal of transportation choice, and when it comes to getting to school, the yellow bus is a favourite one. Whether your child rides a school bus or a city bus, there are some basic rules to follow that will make the trip more safe and pleasant. When the bus approaches, stand at least 6 feet away from the curb, and line up away from the street. If you have to cross the street in front of the bus, walk on the sidewalk or along the side of the road to a point at least 10 feet ahead of the bus before you cross. Be sure that the bus driver can see you, and you can see the bus driver. Use the handrails to avoid falls. When exiting the bus, be careful that clothing or backpacks don’t get caught in the handrails or doors. Learn the school bus laws in your community. Yellow flashing lights indicate that the bus is preparing to stop to pick up or drop off children. Drivers need to slow down and prepare to stop. Red flashing lights and an extended stop arm signal indicate that the bus is stopped, and that children are getting on or off. Cars must stop a safe distance away and not proceed until the red lights stop flashing, the stop sign folds back, and the bus continues on its way. Once on the bus go directly to a seat. Remain seated and facing forward for the entire ride. And talk quietly (so the driver will not be distracted). Never throw things on the bus or out the windows, never play with the emergency exits and keep the aisles clear at all times. Safety rules are extremely important everywhere, but especially at elementary schools where there are so many children moving in all directions. If you visit a school during drop off (about 8:50 AM) and pick up (about 2:50 PM) you can witness the chaos. In speaking with school administrators, police and police Speed Watch volunteers, the main culprit endangering children is the parents of their classmates. Huh?! Why wouldn’t all parents be careful about safety for everyone’s children? We’re all on this journey together, right? From what I’ve seen and heard at local schools over the years, it’s more like every family for itself. Please, let’s take a step back and think about who is really important here, it’s the kids, not the drivers. Please be a good role model for your child when you’re driving in school and playground areas. Watch your speed. A 30km/h speed limit is in effect in school zones from 8 a.m. to 5 p.m. when school’s in session and in playground areas from dusk until dark, unless otherwise posted. Be patient. Drop off your child close to the sidewalk. Don’t let them dash from the middle of the road. Know the law. Always yield to pedestrians and stop for school buses when their lights are flashing. One of the greatest gifts you can give your children and their classmates is to not drive up to the school during drop off and pick up. Reduction of traffic reduces the potential for children to be hit, as well as the level of fuel emissions. If you can’t walk to school, then park a couple blocks away and walk your child to class, it’s much more civilized and really, can’t we all use less stress in our lives? Check back again for information about “Passenger Safety – Infant and Child Restraints”. Another popular, car free way to get to school is on a bicycle. Like walking, the benefits of biking are numerous: health and fitness, environmental, connection to community, fun and, by joining a cycling club, a great way to make friends. The main advantage for cyclists over pedestrians is that they can travel much more quickly. Of course, like walking, cycling must be done properly and safely to be an effective and long term form of transportation. Riding a bike is a little more complicated then lacing up the running shoes and pounding the pavement too, as cycling requires some learned skill and equipment. The first piece of equipment you need to consider to become a cyclist is, of course, a bicycle, with a light. Then a helmet, then cycling gear including some reflective stripes. The best local source of information for all things bike related is the HUB. On the HUB website you’ll find lots of information for cyclists of all ages and skills, including what to look for in buying a bike and what types of education and training is available. The HUB connection for New Westminster, https://bikehub.ca/get-involved/groups-committees/new-westminster, includes information about monthly meetings, navigating New West’s hills and a list of news, current issues and also successes, like the education workshops at schools (2010-2012). Hmmm….I know where I’m heading with Lucan in a couple years, a HUB bike training class, we’ll both benefit from it to be the safest cyclists possible. Basically, HUB is a “one stop shopping” experience for anyone considering putting their feet to the pedals to feel those sweaty muscles burn. A partner organization to HUB is called Haste and is a “Hub for school travel” http://hastebc.org/. Whether your preferred mode of school transportation is two feet on pavement or two feet turning two wheels, Haste has lots of resources to help you on your way including the walking school bus and bike train. So what are you waiting for? 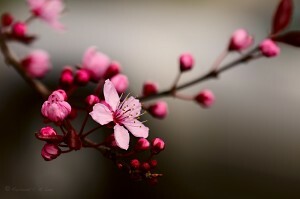 Spring is sprung! Get out of the car and onto 2 wheels; it’ll be a great adventure, and you and your whole family will be glad you did. Check back for the next article entitled “Bus and school zone safety”. Children do not make good pedestrians. They are too distracted, too impulsive, too impatient, and they have no idea how fast vehicles can move, nor how dangerous they can be. 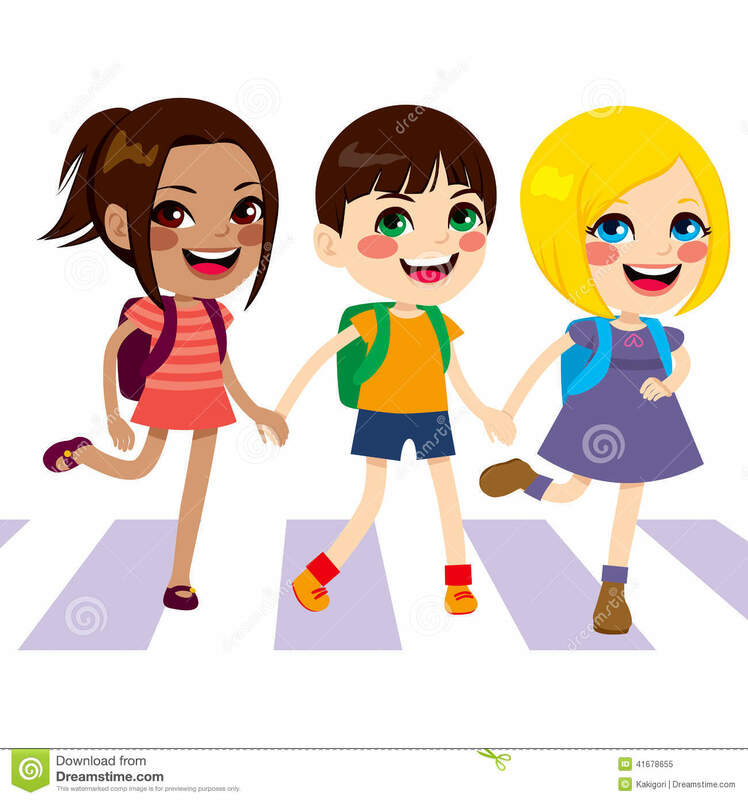 The situation is compounded by the fact that many parents are not modelling good pedestrian behavior as they are not teaching children to be attentive when they cross the street, and often jay walk. So many times I have seen parents, with headphones on, push stroller’s mid-block across the street with a motorist bearing down on them. Or stand on the street corner waiting to cross, engrossed in conversation on the phone or with a friend by their side, heedless of the fact that their small child is teetering on the curb, dangerously close to falling off and possibly being hit by passing vehicles. Children absorb information like sponges absorb water, so parents need to set good examples and model safe pedestrian behavior if they want their child(ren) to grow up safe around vehicles. Walk on the inside edge of the sidewalk away from the road. If there’s no sidewalk – walk facing oncoming traffic, so you can see approaching vehicles. There is an excellent fact sheet you can print off and keep handy for your walks to school or to local shops. This is a great conversation starter for parents taking an active role in teaching junior, in a fun and simple way, how to commute safely. Right turn drivers are often ignored by pedestrians, but in reality are highly dangerous as the driver is so focused on approaching vehicles and looking for space to merge onto the street, that they rarely look to see if pedestrians are waiting to cross. Always catch the eye of the right turn driver and indicate you will cross on the pedestrian or green light, so the motorist does not commence their right turn as you’re stepping off the curb. As you cross the street, keep an eye on traffic in all directions, and don’t be shy about communicating by raising your hand like a stop sign if you’re not sure a waiting motorist can see you and is aware that you’re crossing. By signaling drivers of your intent, and following established road rules, you not only gain more control over a potentially dangerous situation, but also the drivers’ respect. Parking lots are also a highly dangerous place for children as motorists drive slowly and are often distracted: by the phone, looking for parking, looking for a shop, who knows?! Meanwhile, parents let their guard down in the chaos of exiting the vehicle and planning the list of errands they need to do. Since parking lots are designed for vehicles, there are few pedestrian safe places to walk and children are often unseen as they dart between stopped automobiles. Practicing pedestrian safety in the parking lot will not only keep your child alive, but set them up for success as a responsible pedestrian and future cyclist and motorist. Check back soon for information about “Safe Cycling”. When I began my parental leave with my infant son in mid – 2010, I decided that we would be a car free family. There were various reasons for this decision: financial, environmental, fitness but, call me paranoid if you will, after 13 years of working in the Road Safety field, the risk to our personal safety topped the list. I’ve had far too many discussions with police officers about “why the driver lost control and crashed, and why those passengers, including many, many children, are dead”. The most common reason first world children 16 years and under are injured or killed is accidents, the most common type of “accident” is a car crash. I decided the best move I could make for my son’s health was to minimize his time in an automobile. Please note that although I work in the Road Safety field, all opinions expressed here are my personal ones. Besides greatly reducing Lucan’s risk of being involved in a car crash, being car free provides numerous other benefits to our family. Don’t get me wrong, I am grateful to live in a society that enables me to obtain a drivers licence, and I appreciate the convenience of using an automobile (either a rental, friend’s or car share) when I do need to drive, but, to be frank, driving stresses me OUT! I find driving around the Lower Mainland generally frustrating and boring and when I do it, often think of all the other things I could be doing. Then there is the lack of physical exercise point. For much of 2007 and 2008 I was a Masters student residing in London, England. Living on very little money, I did not join a gym and used my feet and public transit to get around. I did not gain any weight during my time overseas. Once I returned to Vancouver and began driving frequently, I gained about 15 pounds in less than 6 months. Once I went on parental leave with Lucan I lost over 25 pounds. It turns out pushing a loaded baby stroller around the city is a better cardio workout then the gym. Lucan’s no longer in a stroller, but we still commute almost everywhere on foot or by transit, and you know what? We both enjoy the trips so much more than in a car because we can talk to each other, play games and observe the scenery. 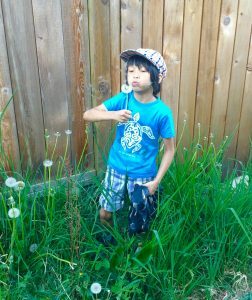 When Lucan began Kindergarten last September we knew exactly how he’d get there – walk. The literature on the benefits of children walking to school is prolific. I’ve attached a link here to the article I am citing. “Walking is known to improve academic performance. Children arrive brighter and more alert for their first morning class. In a UK Department for Transport survey, nine out of ten teachers said their students are much more ready to learn if they’ve walked to school. Walking reduces stress and increases creativity, both of which will help a child’s performance at school. Walking gives children good life experience. It’s an opportunity for them to be independent, think responsibly, and make decisions for themselves. Some children feel less anxiety about being at school when they know how to get home; it’s much harder to learn that route from the perspective of a car. Walking gets children outdoors – and, according to Richard Louv, who wrote Last Child in the Woods, kids certainly aren’t spending enough time outside these days. Those few minutes of walking can provide inspiration. About 80% of the time I am able to join Lucan and his daycare group in the walk to school. Rain or shine, we have a lot of fun. The kids play and chase each other around, the parents chat with each other and often Lucan points out landmarks to me. He’s very observant and good with directions and, while this may be in part because of male genetic coding (he certainly doesn’t get that from his Mama! ), I think it’s because Lucan’s always been present and active in his commute, and not observing it from the back seat of a car. During our morning walks we hear birdsong, see various neighbourhood cats and often the local dog walker and dogs. One morning we noticed some small pink flowers blooming in an alley, and Lucan picked a bloom to give to his teacher. When school is over our daycare provider picks up all the kids and, if it’s a nice day, they play for an hour at the school playground before walking together back to the daycare. You’ve likely heard the adage, “stop and smell the roses”. Well, in going car free, our family has done that and so much more.